when one chats with The Eskies. The Irish band tells me about their new album, And Don’t Spare the Horses, and the ideas that go into it. 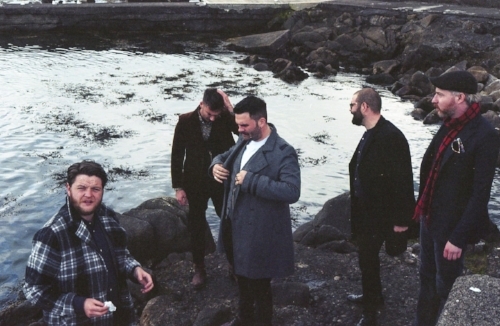 They talk about their formation and the sounds that drive their music; what the scene is like in Dublin; how their touring commitments are looking for this year – and the new artists we should all be aware of. I find out about The Eskies’ influences and how their music comes together; whether they are coming to the U.K. very soon; how spirited their live performances are – what we can expect next from the charming clan - thanks to Ian Bermingham for providing some great answers. Hi, Ian, how are you? How has your week been? Yes, certainly! First of all: where the bloody hell have you BEEN!? We've been worried sick! Anyway…you're here now - and that's the main thing. 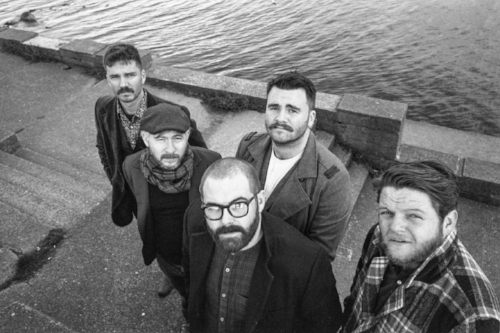 We are a five-piece band from Ireland who makes a genre-hopping kind of music that draws inspiration from lots of Folk, Gypsy; Klezmar, Yiddish; Balkan, Swing; Big-Band, Rag-Time; Dixieland, Rock and Blues music. We generally like music with a lot of energy and our live shows are very often quite raucous affairs - with lots of lovely singing and dancing people. Thematically, we generally like to go for the darker stuff and try to find the humour in it - and are very much advocates of the idea that if something is worth doing, it's worth overdoing. And Don’t Spare the Horses is out on 1st December. What inspired the album’s title and the songs within? I can think of four good reasons as to why And Don't Spare The Horses is an appropriate name: there is a track of the same name that closes the album and it's a perfect name for what it was written about; we do have quite a 'gung-ho' approach to things in general; musically, there are some quite charge-of-the-cavalry-sounding moments but, as well as all of that, we booked the studio time to record this album before we had even finished writing it – so, there was a certain sense of ‘Ok; let's get this thing written now, post-haste. Get it done - and don't spare the horses, so to speak’. The songs within are a vast and varied bunch: you can expect a tongue-in-cheek approach to things like anger, sadness; frustration, anxiety - as well as love, loss; fear, upheaval; conflict, rebellion and (just) bloody good heartache! There are some eclectic and traditional genres mixing in the album – alongside some rare sounds. What was the reason for adopting the sound you did – and incorporating the instruments/genres? It's just been a bit of a journey, really; pushing ourselves and each other in directions that excited us. More often than not; we say things like: "Let's make it sound like a New Orleans funeral" or "The Charge Of The Light Brigade"; or "A Hellish imitation of Louis Prima playing the Annual Ball in a haunted mansion". None of its taken too seriously - but we are absolutely serious about keeping it that way. When we started off, there was a feeling that we wanted to listen to a certain type of music but couldn't find exactly what we were after, anywhere – so, we decided we would try and write it. It's all just developed from there, really. Many highlights can be found within the L.P. Do you have a favourite song? I think we all do - but it changes as time goes on. We, probably, all had a song that we were most excited about as we wrote them: that will have changed by the time we recorded them and, even now, it changes as we play them live. I'd imagine it's like if you have kids or something: you probably do have a favourite but you wouldn't admit it. It seems The Eskies, on And Don’t Spare the Horses, have returned to their earlier dynamic/sound. Was there a conscious decision to bring it back to the start and how you first sounded? I'm not sure how comfortable any of us would be laying claim to any sort of conscious decision. The whole thing has just been a meandering path; doing things that we enjoy, trying to make ourselves and each other excited or laugh or whatever. The whole thing is a natural evolution - even if you do occasionally have a moment where one of you says to the other "I'd like to have a go at this kind of thing”. Dublin is where the band is based out of. How key is the city with regards your lyrics and songs? Do you take a lot from the people? Dublin people are a beautiful, infectious; warm and honest open group of people: you couldn't possibly spend any amount of time in Dublin and not want to be like the best of them. The city is renowned for its character and, maybe even more so, for its characters: Google Bang Bang or The Bird Flanagan; Forty Coats or The Hairy Lemon. A good Irish funeral is infinitely more fun than an Irish wedding: that's how we want our music to be. You'd be better off asking the lads about their own but, for me, the big, influential ones were Queen, and then, Bob Dylan. There was pretty much everything else in between from Punk, Metal; Rock, Indie - and even a little bit of Hip-Hop and Rap (but they were the big ones). Some of our favourites that you may or may not have heard of are The Cujo Family, The Hot Sprockets; Mongoose, Wyvern Lingo, GRAND; Mongrel State, Mad Dog Mcrea and Black Water County. Are there any tour dates coming up? We've just finished up a big, long U.K. tour through October and are about to embark on an Irish tour in December. After that, we've a short stint in the U.K. - in February - before heading off to Australia in March - and who knows what else along the way. We keep our website up to date so check them there: it knows more than we do; even if it is us that updates it. Can we expect to see you our side of the water in the coming year? Yeah, definitely. We're not quite going 'full-Wogan' - but we do spend an inordinate amount of time over in the U.K. The summer is already filling up with U.K. festivals and we've the few dates in February, too - with a load more to follow, no doubt. I can imagine the touring and shows are quite raucous! Is there a trouble-maker in the band or do you have a pretty Rock and Roll rider, perhaps?! Generally; try to practice at least some degree of restraint - but it's not always easy when you're having fun. Our rider is full of terrible debauchery inducing things like crisps and chocolate; to fruit and sandwiches. Towels (preferably black) and, of course...Guinness. I didn't know sound could sound like that until I heard it. All of those layers; the sound of their voices together, the dynamics; the way it shifts from stadium-filling anthem to a whisper in your ear - and all that without even mentioning the bloody songwriting! Make sure you actually love the people in your band to the point that you can envision spending every waking moment with them for weeks on end in the future. Avoid 'Rock Stars'. Write as much - and as often - as you possibly can. Find a happy-medium between being honest and objective - and not being too critical of yourself. Try not to do anything else that's too time-consuming like, if you're locked into a job that won't let you put the time into music; you're not going to be able to keep it up. Get out and meet all the people who are doing what you're doing and making it possible. We finish off this mad year of intensive travelling and gigging - appropriately enough, in Dublin on 16th December. After that, there's talk of travelling over to England to see a gig towards the end of the year - and just having a bit of a blowout.